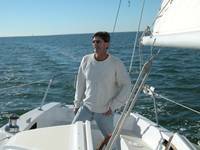 MarineMax Naples Yacht Broker and Yacht Team Sales Professional, James Corts, recently sold a Hatteras M75 Panacera. 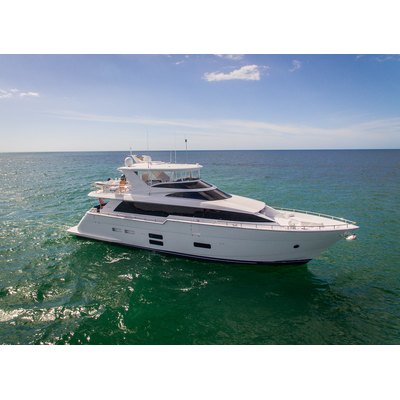 Hatteras quality and craftsmanship meet sophistication and style for a new standard of elegance aboard the M75 Panacera. 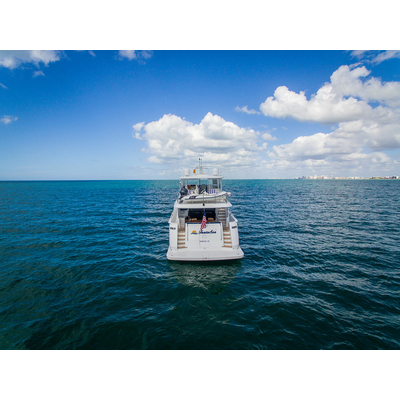 Alfresco entertaining is the order of the day on the expansive flybridge with multiple seating options and sunning spaces. 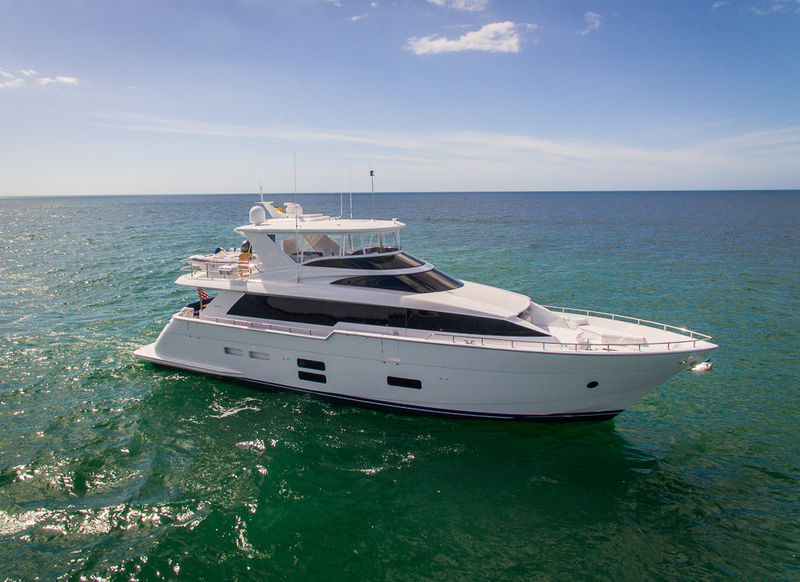 Inside, the Hatteras M75 astounds with an open-concept deckhouse salon and galley arrangement, surrounded by panoramic windows for views spanning 360 degrees. 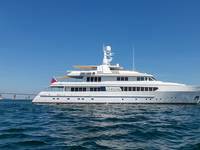 This particular yacht was custom built and designed for her original owners. Her stand-out features include a thoughtfully designed interior with an emphasis on sophisticated style and textures. Hand-selected tile and stone complement each space bringing the interior to life. 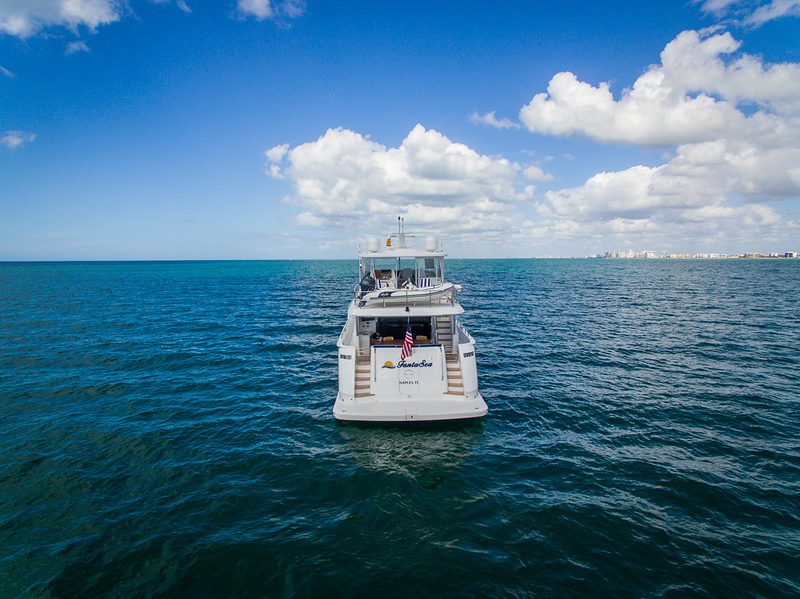 The exterior features upgraded teak decking throughout as well as custom exterior and underwater lighting.